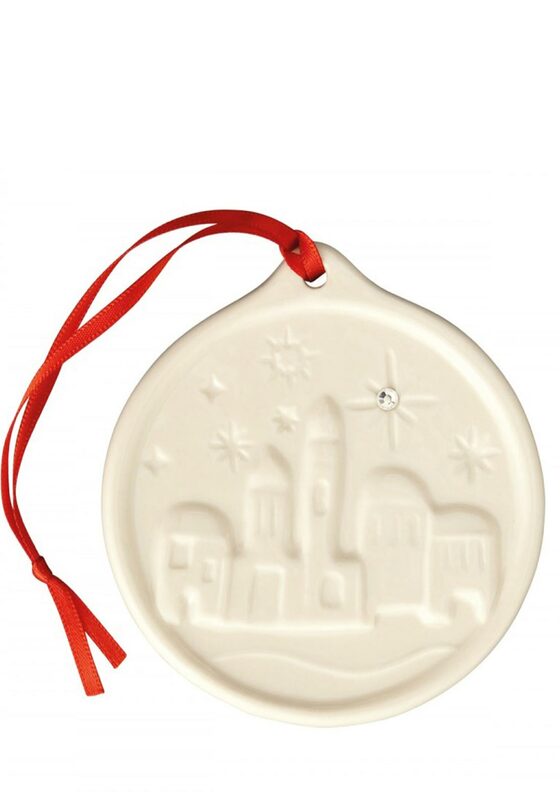 A unique hand crafted round hanging decoration from Belleek Living featuring the design of the Little Town of Bethlehem. 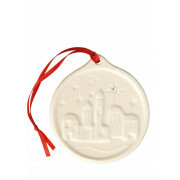 This is a beautiful decoration that will stand out on your tree year after year. It makes a great gift idea as it comes packaged in a Belleek living gift box.